Just after we put down the bags, we didn't have much time to rest because we had to test the new 1.08 patch of The Witcher 3: Wild Hunt. So here we go again in the rainy swamps, time to check if the framerate has gotten better or not. And people tell me there aren't any frame rate issues. Ha. Why do they keep saying "this update will fix fps problems" and eveytime it clearly doesn't ? Stop giving false hope. Still the same 20fps cap as before when it drops under 30fps. Does it fix the 20fps problem for Xb1 applied in 1.07 then? Either way I'm still not buying this game for PS4 until this is rectified. Can we please have the same stress test done on the Xbox One with patch 1.8 to see if the framerate has been improved or fixed? !Pls test the Xbox one thanks! Lol consoles. 20fps is absurd. Absolutely ridiculous. I was playing games at higher frame rates 20 years ago. Fancy yourself a room, young man! Public masturbation is an inappropriate thing to do. I fell like the 20fps cap could be occurring only in the swamps and not anymore in Novingrad like in the XB1 version, patch 1.07. 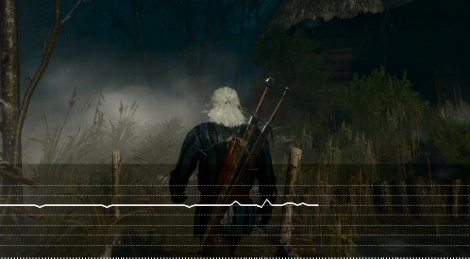 There was indeed a difference of implementation of the 20fps cap in the XB1 version, contrary to the PS4 which occurred in any area each time the framerate went under 30fps, on XB1 the 20fps cap was occurring only in specific areas like in the swamps and not elsewhere like in Novingrad. Now I feel like they could have implemented that solution on PS4 too. You should try testing the framerate on PS4 in Novingrad during rain or in the night with lights to see if we have now a fluctuating framerate or capped at 20fps. Well, sadly, I have 10 games or so I need to cover, not to mention the third podcast in two languages that should take forever considering the number of titles we saw in Cologne we haven't talked about yet. So, making more W3 videos is not really my priority (not to mention the fact that I'm getting a bit sick of it ^^). lol @ 60fps... why don't you just put on god mode. 20fps is where it's at. Still no Xbox One stress test!?Sad! In reference to the PS4, you can't polish a turd product. You remind me of that YouTube guy who constantly talks about his Lamborghini, and how his Lamborghini and Lamborghini. We GOT it. You're a PC gamer, 60 fps, 4k, REAL gamer, master race. I'm playing this game right now and it reminds me how entitled and unapreciative gamers can be. What CDPR have achieved is nothing short of evolutionary a gold standard for RPGs and it is one of those games that defines a generation. If in anyway the game appeared lazily developed I would be all over them, but they have crammed the game with so much detail that I'm actually surprised it can look as it does and run as well as it does. What's most disappointing is that this console generation needs more power so that a developers vision can truly be realised. Imagine if the consoles were capable of delivering those visuals seen in the reveal trailer (one can dream) in the meantime we will just have to suffer one of the greatest games ever. I'll be waiting for the inevitable Enhanced edition. 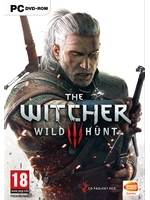 I still have to finish my witcher 2 enhanced edition before I can play this. Total lack of attend to the Xbox one fans from gamersyde part would it be so difficult to test the Xbox one on patch 1.8 too!How bias. Apparently the 20fps cap could be removed on PS4 if you turn off both post processing options. (motion blur and blur). That day will probably never come unless they give in and lower graphic fidelity to sustain a better frame rate. The video is encoding as we speak.